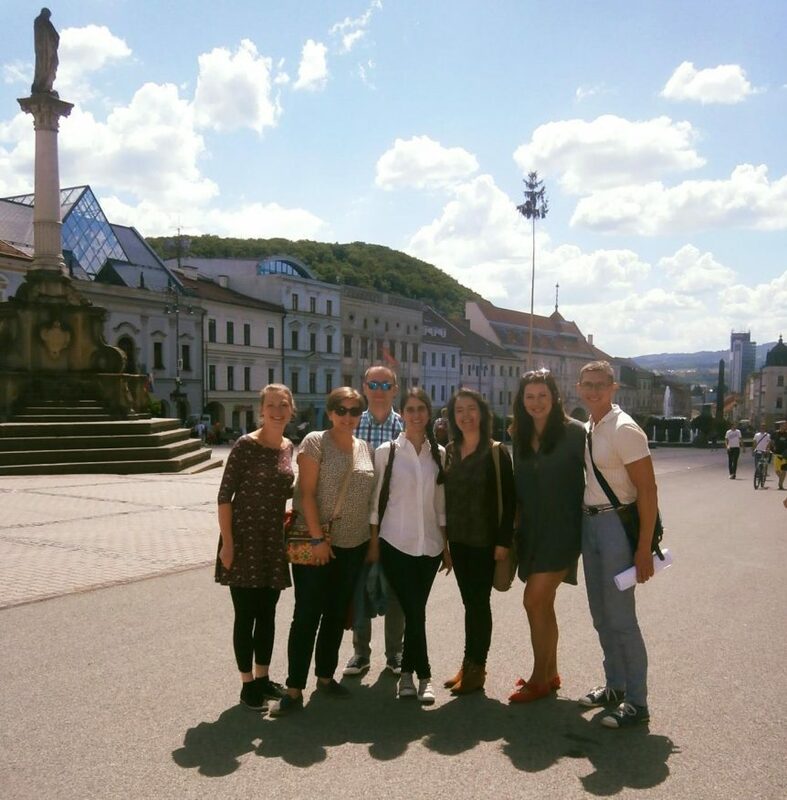 PlaNET SOEN 2.0 Transnational Kick –Off meeting took place in Banská Bystrica, Slovakia from 21-25 May 2018. It gave a chance to start with the project and to get to know every project partner personally. Partners from Poland, Portugal, Slovakia and Slovinia divided tasks and responsibilities, explained roles and planned project activities in detail. Our common priority is to promote entrepreneurship education and social entrepreneurship among young people. The aim is to improve the high unemployment rate, improve our regional (national) competitiveness and thus overall economic recovery of the region. Together partners prepared School participatory budget manual for its implementation in one high school in each project partner country. During Kick-Off meeting participants payed attention to build a good team, to share experience in fields related to the topic of the project and exchanging of good practice examples. Part of Kick-Off meeting was also field visit of the Slovak high school involved in project in order to see how they work, get to know an environment where are they coming from and support relationships in project partnership.